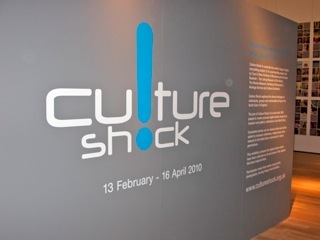 I’ve just received an email from Alex Henry at Culture Shock – they’ve won an award. My congratulations to everyone involved. I just wanted you all to know that Culture Shock was successful at last night’s Journal Culture Awards in winning the Renaissance North East Museum Award…..
We got a lovely limited edition print by Bridget Jones and a framed “certificate” which are both in my office at the moment if anyone wants to have a look while I wait to get them displayed. The success of Culture Shock would not have been possible without the support and hard work of all of you over the last (nearly!) three years so thanks very much and well done to everyone involved!